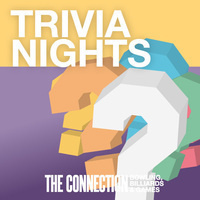 Join The Connection on Mondays for Trivia Night. Test your knowledge of everything from celebrities to sports to history and more! Free to enter! Teams and individuals welcome. Sign up at 6 p.m. at The Connection front desk. Games begin at 7 p.m.